For three days, my Instagram feed, typically resplendent with photos of meat-centric entrees, turned very green. My husband and I — to help kick off his I-rolled-my-ankle-now-back-to-the-gym “diet” — decided to try just veggies and fruits for a few days. Originally, we thought we might last a week. We didn’t do a lot of research, which is odd for me, but mostly had just talked to enough people who thought it was a good idea, people who regularly worked veggie smoothies or juicing into their diets to tap into those elusive micronutrients. We’d seen the movie Fat, Sick and Nearly Dead a while back and had always been curious. In the movie, the host Joe loses 100 pounds by juicing for 60 days, and he recruits a morbidly obese truck driver, Phil, to do the same. We weren’t actually trying to lose weight on our kick, but just to kick off a new “lifestyle tweak” with a foundation of fibrous fruits & vegetables. In the mornings, we’d have a massive smoothie (recipe below) and I’d save half of it for a post-workout snack. I also kept having my black coffee in the mornings (basically, I don’t do well with diet restrictions — and I don’t do well without my coffee.) My husband was far more strict than I was, having juice for lunch as well. I’d usually do a salad of some sort or a pea soup. And at dinner, we’d both forsake the raw veggies and cook something to sink our teeth into. Roast cauliflower and carrots with a side of wilted greens or roast turnips, leeks and other wintry goodies. 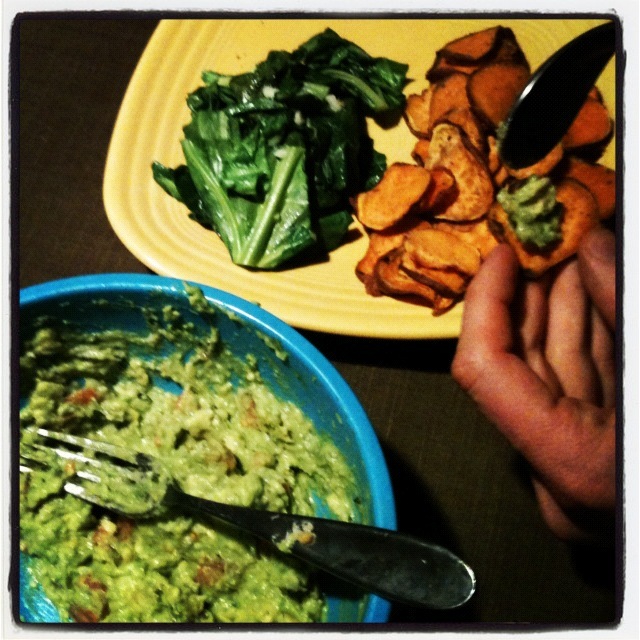 One night, we cheated a bit and roasted sweet potato chips to dip in our guacamole. Sweet potatoes are a vegetable, right? 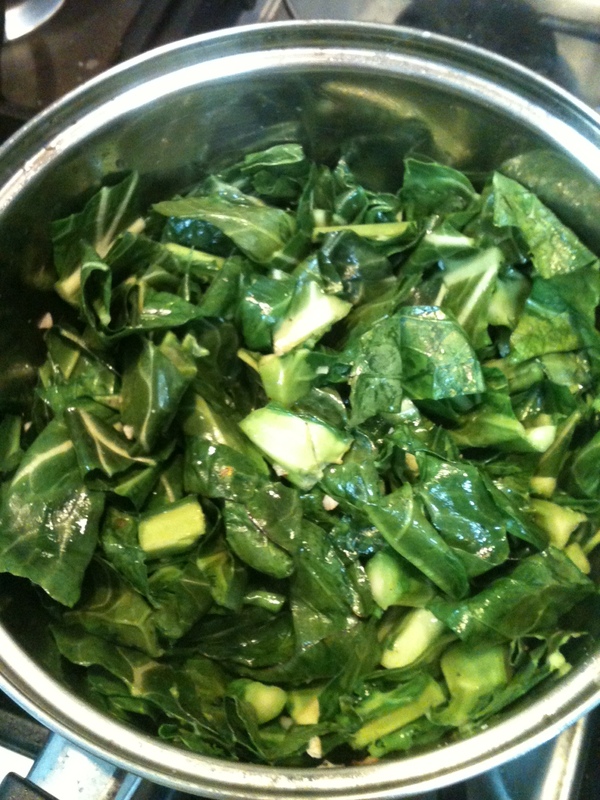 Seriously delicious local collard greens, wilted with just a bit of garlic, olive oil, salt & pepper. So what’s your veggie story? Anyone jumped in with a full raw or juicing diet? 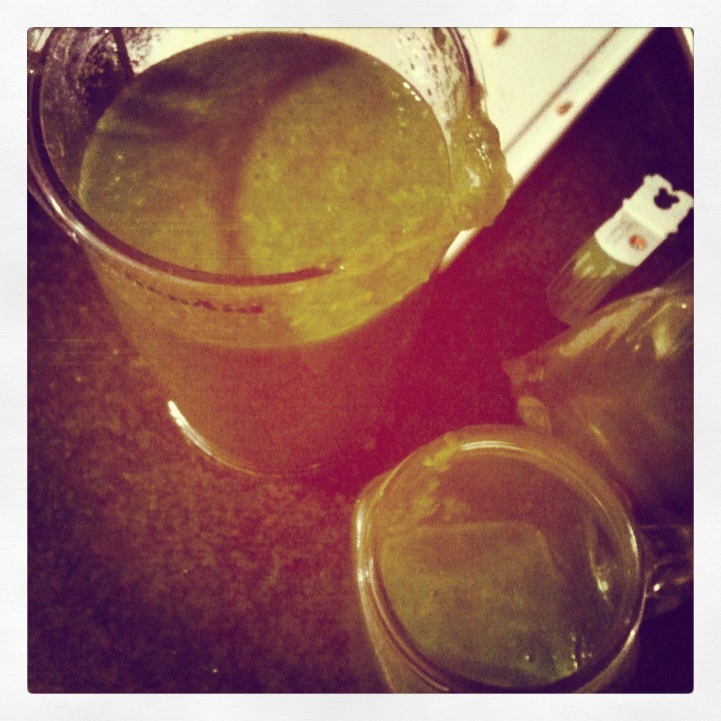 What did you find to be the benefit of either a cleanse or working juicing in longterm? And, has anyone gotten a killer cold on the tail end of such a diet (because that’s exactly what happened to us)? One pear, seeds removed, cut in chunks. Half a banana, can be frozen for a chilled effect. Two big handfuls of baby or regular spinach. One cup of apple juice. As much filtered water as is needed to immerse blender. 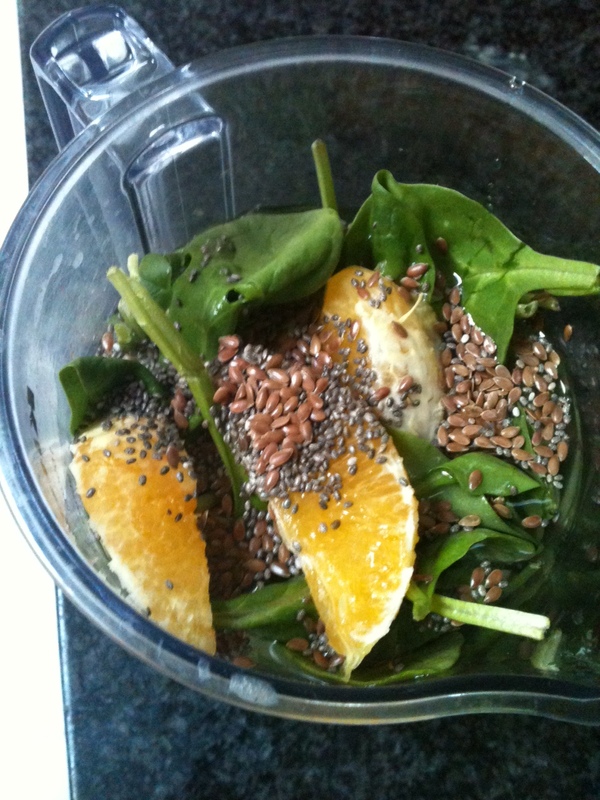 Pile ingredients into blender and smoothie it up. You can add as you go with a less powerful blender. 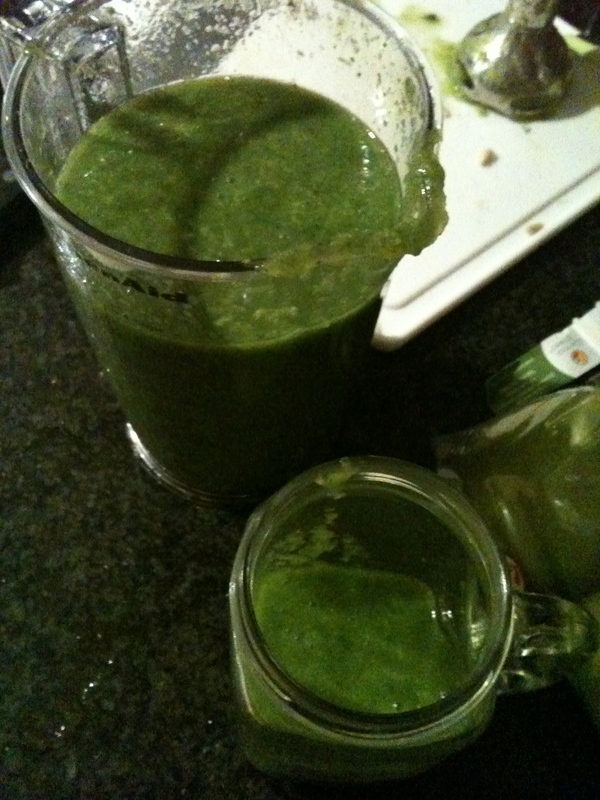 I like the chewiness of the kale and flax seeds, which our blender doesn’t disintegrate like a Vitamix would, but my husband wasn’t a fan. Play around with different fruits and flavors, but the greens are the key. 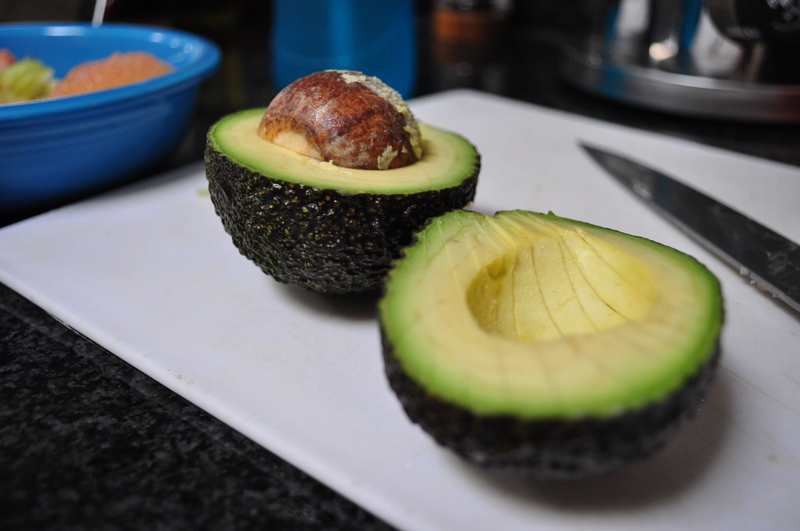 Try it instead of your breakfast carb or as a mid-morning snack. Oh, and Happy Valentine’s Day. Cheers to being healthy for those you love!